Virendra Sehwag : Pack Up? The effortless boundaries, those mammoth sixes, that laid back attitude and those unforgettable memories. Taking the attack to the opposition from the first ball and making them pay till the last ball. All these are a thing of the past as the Najafgarh run making machine struggles to get back into the side. Virendra Sehwag is out of the ODI squad and the fans are upset with the decision. Some have even gone to the extent of blaming the selectors for not playing Sehwag against England in the first ODI. Ridiculous as it is, they feel Sehwag’s absence was the only reason India lost the match. 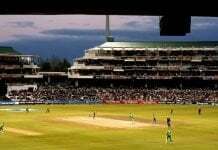 Now, how many actually think that the first ODI was not well fought? If some do, then they are emotionally driven and more importantly – wrong. Not always do we get to see such high scoring yet close encounters in the game of cricket. It could’ve been a one sided affair if India had not started well with Rahane and Gambhir. It could’ve been a disaster if Yuvraj, Raina and Dhoni had not provided those very important partnerships. Go and take a look at the batting card, it made Cook bite his nails and gave the Rajkot crowd their money’s worth. You can’t always win; at times you lose to learn and hence must learn to lose. 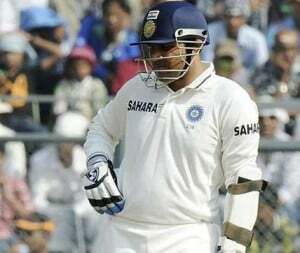 Sehwag’s exclusion from the team is needed. Yes, read that again, ‘needed’ is the word. Batsmen like Rahane are the future of Indian cricket. We are talking about the ODI World Cup in 2015 which might be Sehwag’s last (that is if he plays). Having proved himself over and over again, Sehwag needs no introduction when it comes to making comebacks. But the need of the hour is that the Team needs a replacement and a good one. Rahane, for example, is a man of technique and provides a strong base for the middle order to capitalize on. 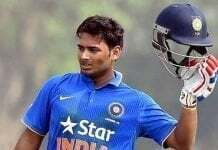 He might not be at par with Gambhir’s aggression or Sehwag’s destructive abilities, but he is that effective opener who uses technique and orthodox cricketing shots to get a start. This means less risk and more fruits for the top order. It takes some time for a player to reach the peak of their abilities and Rahane is in need of chances. Such opportunities will have to be awarded to the young batsman because that’s what it takes to build confidence and reap profits later on. Sehwag’s legacy assures him a spot in the ODI matches but the time has come that we look beyond Sehwag. We all know how Manoj Tiwary is struggling to get into the side with Rohit Sharma being the roadblock. There have been players in the past who simply faded away. The likes of Jaffer, Bangar, Agarkar, SS Das and several others could never make it big at the international level thanks to lack of opportunities. It is easy to take the easy route and talk about Sehwag’s achievements and abilities. It is easy to the statistics board and point out how good the man is. 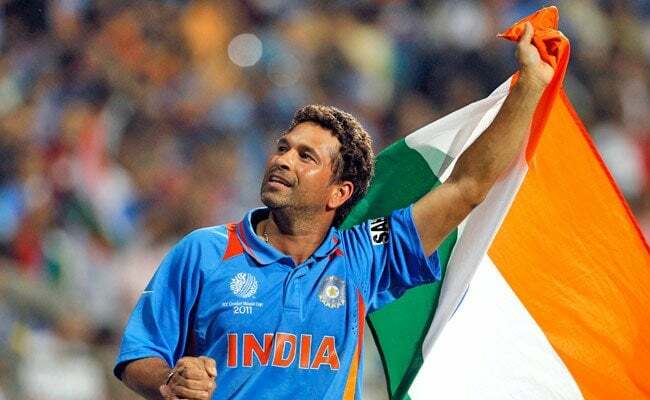 It is easy to go down the memory lane and discuss a certain 219 in ODIs or a mesmerizing triple hundred in Tests. Well it is very easy to get emotional about it and shout abuses or write a few fancy lines supporting Viru. But as a supporter of the game and as a true fan, we have to understand that India will be playing cricket after Sehwag and hence will need players who have already been there and have faced the challenges which international cricket brings. Because then the same Viru fans will talk about how stupid it was not to ‘prepare’ players for the future. People please, say goodbye to emotions and double standards, open your arms and embrace the game.